Articles written by Healthmunsta are purely for informational purposes and are not a substitute for medical advice. Contains natural oils, vinegar and multi-vitamin egg yolk that will restore damaged frizzy hair to its healthy pH. 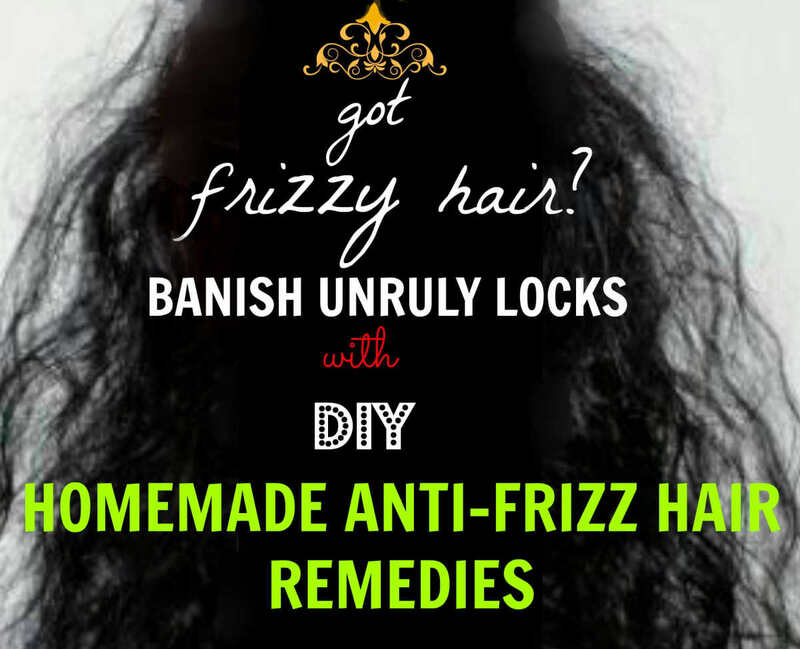 Softens brittle frizzy hair. Locks moisture into skin cells. Deeply contains and hydrates hair. Rich in multi-vitamins and minerals. Nourishes and strenthens hair roots and scalp. 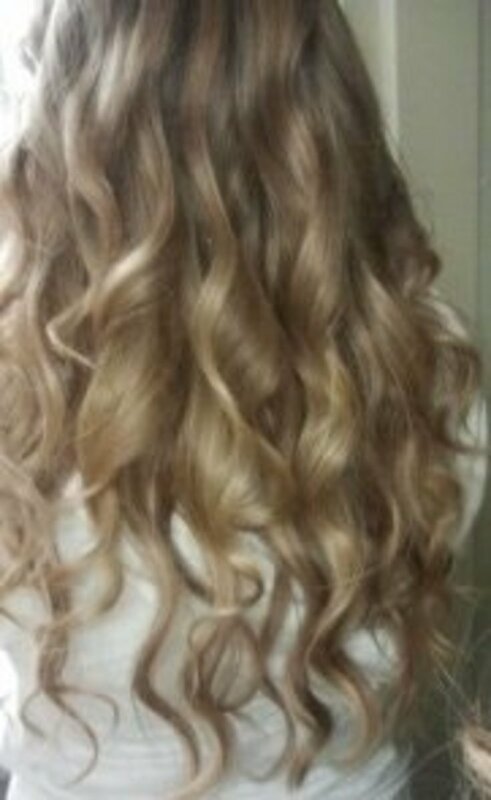 Softens and moisturizes dry frizzy hair. Natural hair conditioner which makes hair silky and luscious. Natural humectant which will add moisture to dry frizzy hair. Conditions and moisturizes dry hair locks. Adds shine and gloss to hair and promotes smooth and soft hair without any split ends. Before applying the mask, wet your hair and wrap a warm towel around your head to open up hair follicles. Rinse as thoroughly as possible to wash off all the hair mask to avoid any bits and pieces of the mask sticking to your hair. Wet your hair before applying the mask. Using the mask on dry hair and scalp doesn't work. In a small mixing bowl, whisk the egg until it turns frothy. Combine the above ingredients thoroughly. With clean fingertips, massage the mixture into your wet hair. Wind your hair in a high bun over your head and cover with a disposable shower cap. 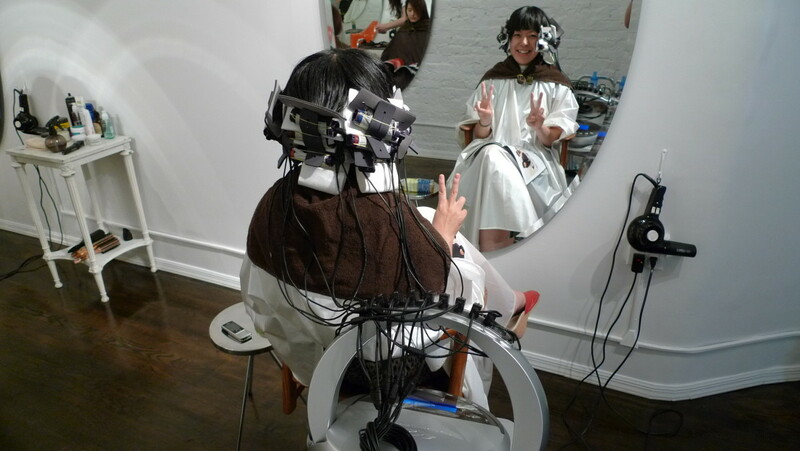 Sit for 15 minutes allowing the goodness of the mask to sink deep into your hair follicles. When the time is up, wash off the mask from the hair roots to the ends. Rinse off as many times as possible until all of the mask is off. Shampoo well to remove the hair mask smells and condition as usual. Give a final rinse with cold water and wrap your hair in a fluffy towel. Traps moisture into dry frizzes. Nourishes scalp and hair follicles. Helps maintain natural hair elasticity and prevents breakage and split ends. Prevents hair loss and controls dandruff. Rich in multi vitamins and omega fatty acids. Penetrates deep into the scalp, strengthing hair roots and shafts. 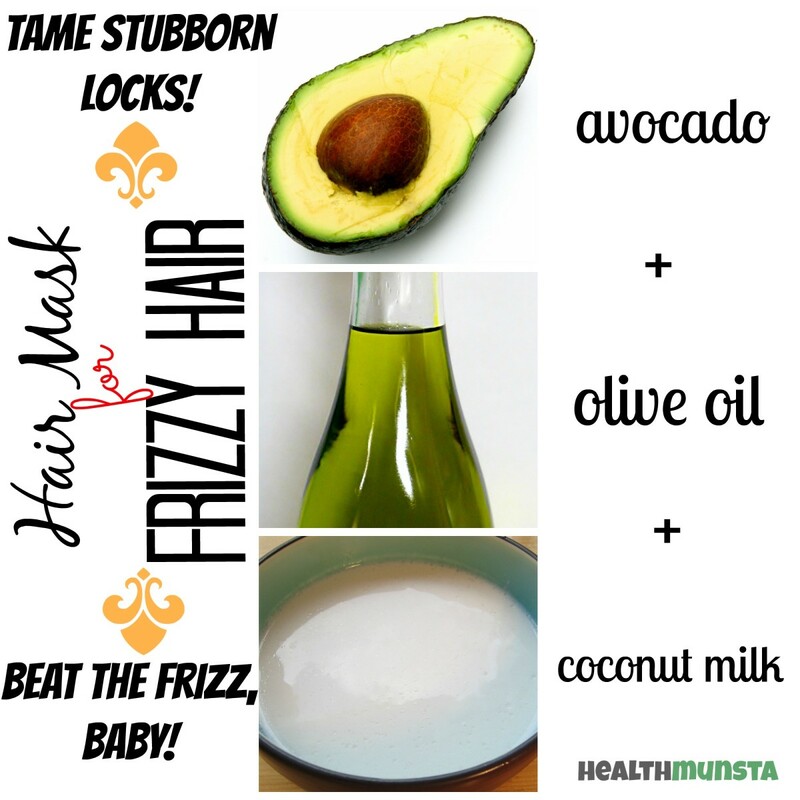 Softens frizzy hair. Promotes hair growth. Adds a natural glow to dull frizzes. Prevents hair breakage. Heals scalp inflammation and dandruff. 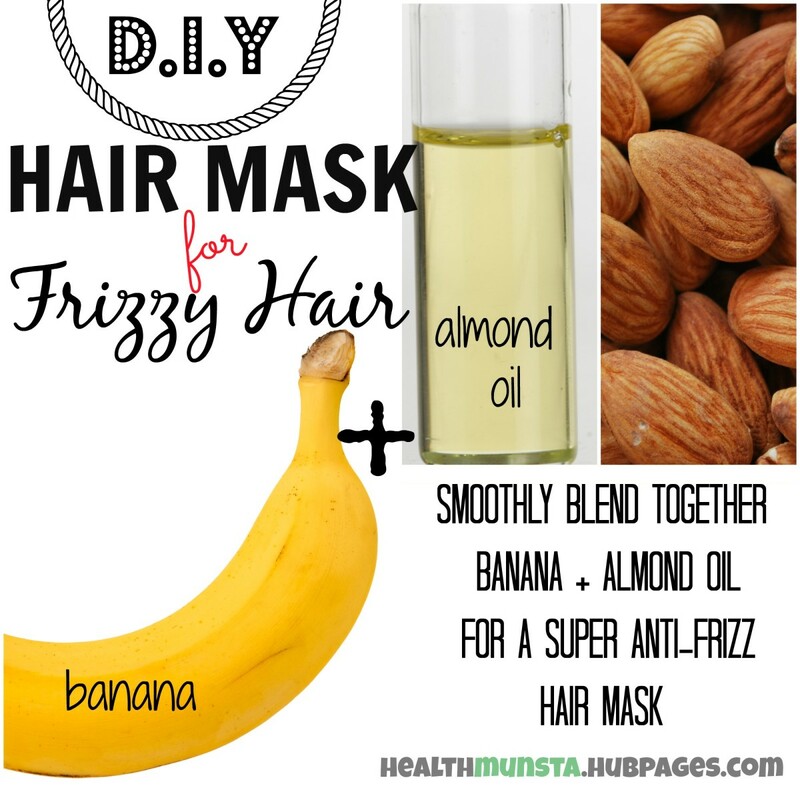 You don't even need to shampoo and condition your hair with this mask since it smells wonderful and almond oil acts as a great conditioner. Apply the hair mask right before a shower to effectively wash it off. 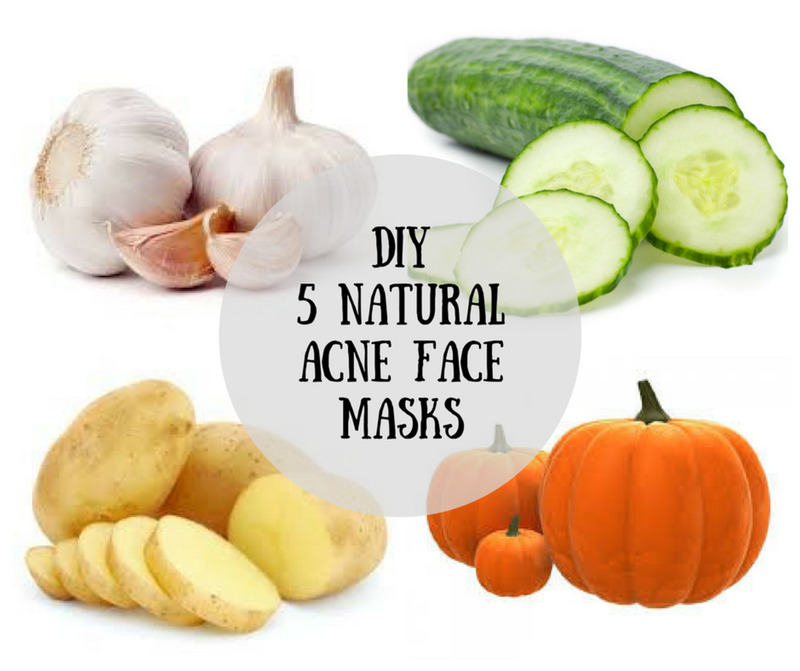 Use overripe bananas for this mask instead of throwing them away. You can always add greater quantities of the ingredients listed depending on your hair length and volume. Puree two ripe or overripe bananas in a blender until lump-free. In a small mixing bowl, stir in the almond oil together with the banana puree. Slather the hair mask onto your strands, starting from the roots, working downwards. Tie your hair into a loose bun and cover with a shower cap. Wait for 15 minutes. You can use this time to relax, read a book or pamper yourself with a manicure. After the time is done, wash off the mask well. After every bit of the mask is off, shampoo your hair and rinse with cold water. Contains vitamins, healthy fat and minerals. Has moisturizing and hydrating properties that will revitalize dry brittle hair. Protects hair elasticity and prevents further hair damage and brekage. Conditions and softens frizzy hair. Nourishes and cools the scalp and hair follicles. Restores lustre to dull damaged frizzy hair. Boosts hair growth. Guards against hair loss. Acts as a natural detangler. Moisturizes and conditions frizzy hair. Naturally conditions and smoothens rough hair. Hydrates dry frizzes and nourishes brittle locks and weak scalp, preventing hair loss and breakage. Use a ripe avocado so it is easier to puree. Freezing or thawing the avocado before use also works great. Make sure to blend the avocado until you get a lump-free smoothie. This is important—if you have lumps in your mixture, you will have a hard time rinsing off and you might end up with tiny avocado lumps stuck to your hair. 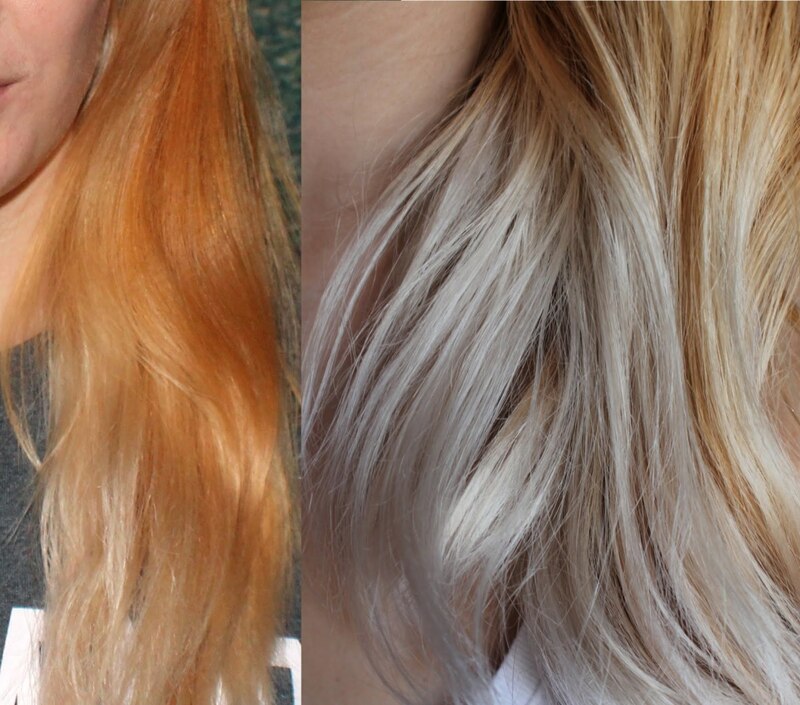 Don't just smear the hair mask onto your scalp and locks. Take time to massage the mixture deep into your scalp in gentle circular motions using both hands. Slather a generous amount of hair mask onto your hair ends where the most damage occurs. First puree 1/2 a ripe avocado in a blender until smooth. Stir in coconut milk and olive oil and mix well. Apply the mixture to your scalp going downwards to your hair ends. Take time to massage the hair mask in gentle circular motions deep into your scalp. Wait for 15 minutes before rinsing off the mask thoroughly. You may shampoo and condition using organic products. Discover 3 different hair masks for dry hair with intense action for moisturizing, hydrating and nourishing hair follicles from within, all with natural ingredients from your kitchen! 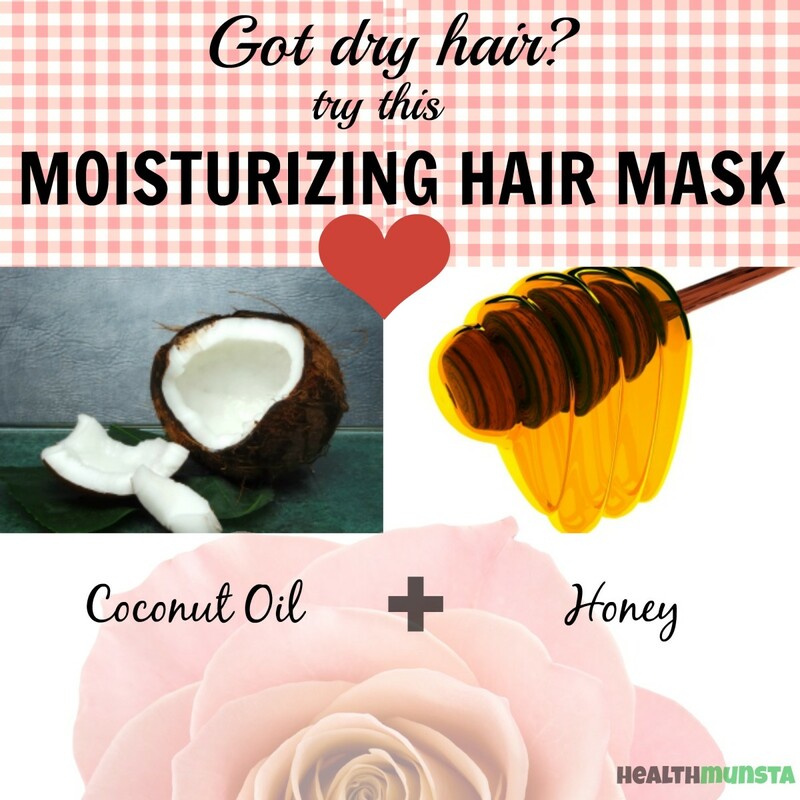 Top five nutritious DIY homemade hair masks that are super easy to make! Using organic and natural kitchen ingredients will ensure your hair becomes healthier with a natural sheen! how about falling ang thinning hair? any recommendation using natural ingredients? instead of almond oil, would olive oil, or argan oil work? Thank you for the masks natural ingredients for the healthy hair's growing. It is good to try different natural things with the experts advice. Then, nothing can go wrong. What a nice relive to apply it in our heads knowing that someone else already tested. You are a good person to share your beauty's secrets. I like your hub. I was wondering, after doing any of these treatments, when your hair dry's does it stay frizz less? 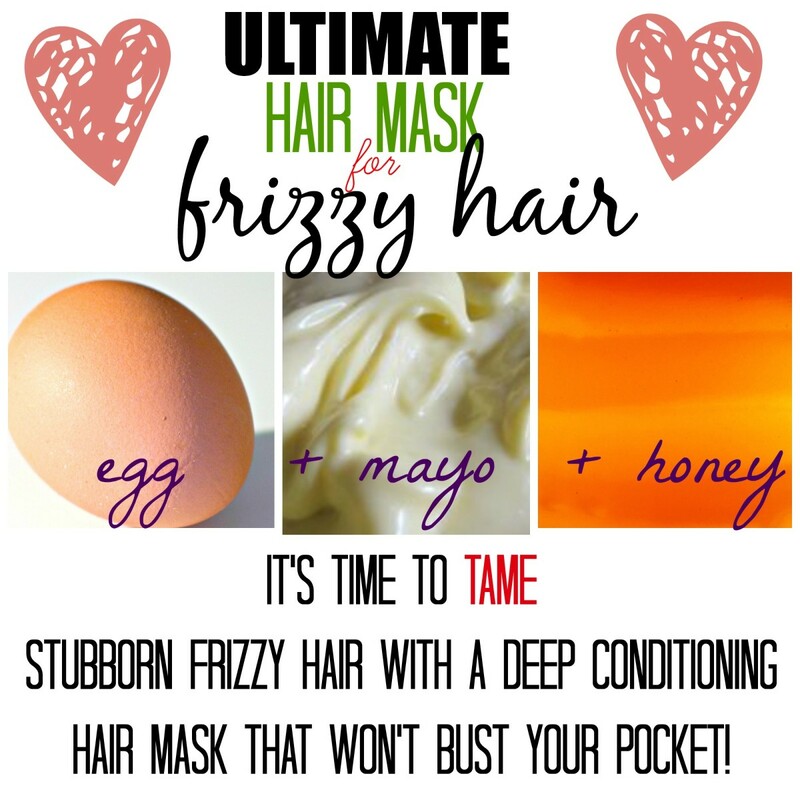 I will definitely be trying the mayonnaise egg honey hair mask. I need something that will really tame my hair. Terrific post. Wow. 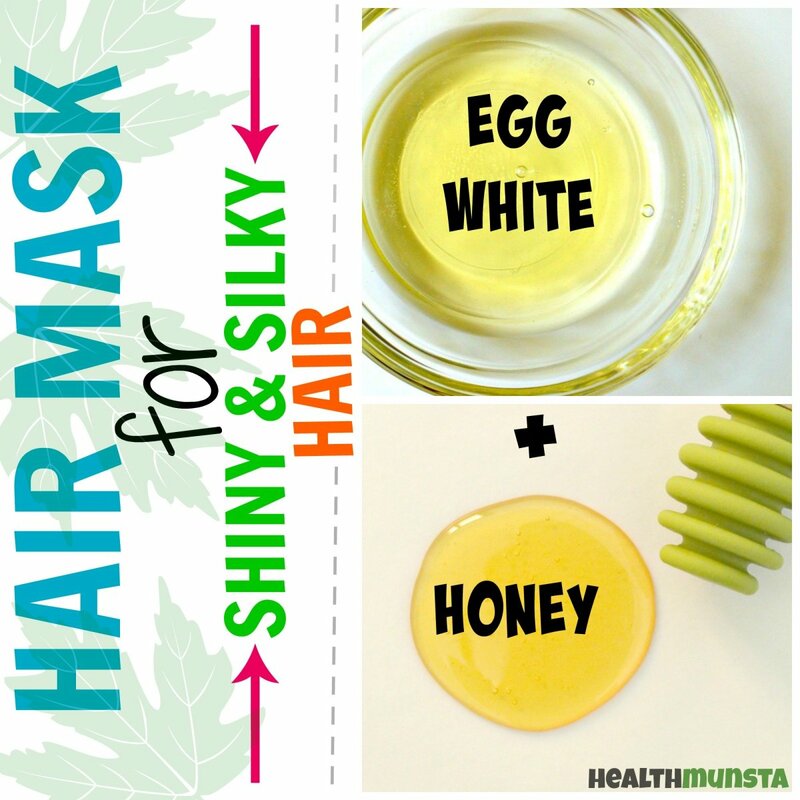 Just did this, used the Mayo, egg, and honey one, just took the towel off my head and my hair feels amazing, next stop, growing gorgeous nails. xD. How many times in a week can you do this? Thanks, great tips! I tried the avocado hair mask and its amazing, I also use the Pro Naturals hair care system to have beautiful and healthy hair. Nicely done hub, good information and great graphics and layout - voted up and sharing.